I have had a house full of children this morning so didn't dare open it until just now! I haven't taken it out of the tissue either as it is so perfectly wrapped but was able to see through it and it looks fantastic! 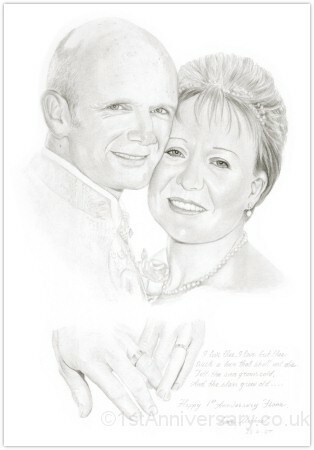 This was one of a pair of portraits commissioned by Lisha for her husband on their anniversary. 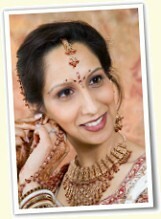 Suffice to say that her jewellery was challenging to draw! She was pleased with the end result though. 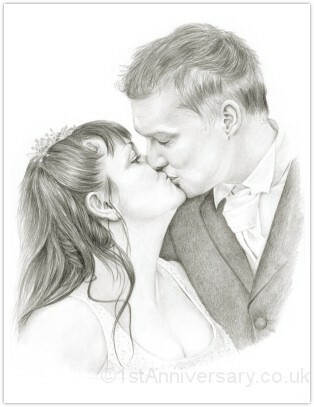 I just wanted to say a BIG THANK YOU for the wonderful portraits! The image you sent through on e-mail does not justify the actual. The attention to detail is magnificent! My husband was speechless when I showed them to him! 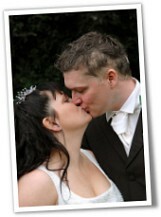 Thank you for making our first anniversary as memorable as our wedding day! You have such talent, that words cannot express. He presented it to his wife during their anniversary meal at Michel Roux's restaurant in Bray. 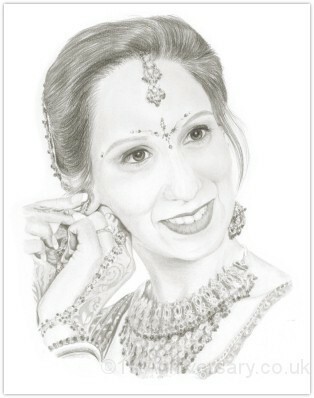 I received the portrait on Friday and have been away for the weekend, so I apologise for not letting you know sooner.I opened the packaging with great anticipation and was overwhelmed when I saw your work; you are truly a very talented person.. It gave me goose bumps and nearly made me cry !!! I have since had it framed and it looks breathtaking.